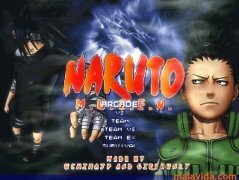 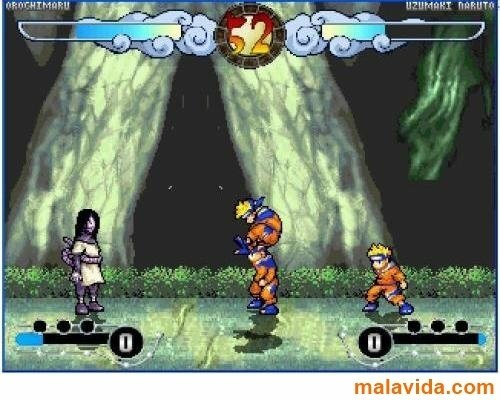 If you're among the thousands of followers that the Naruto series has, you'll surely enjoy this game. Naruto Mugen is a 2D fighting game, similar to Street Fighter, that includes the main characters from this anime series. Nearly all the opponents that Naruto Uzumaki has fought against during the series appear in this game: Sasuke Uchiha, Ino, Chōji, Shikamaru, Hinata, Kiba, Shino, Rock Lee, Tenten, Neji, Tsunade, Jiraiya, Orochimaru are some of the rivals that you'll have to beat to reach the final. 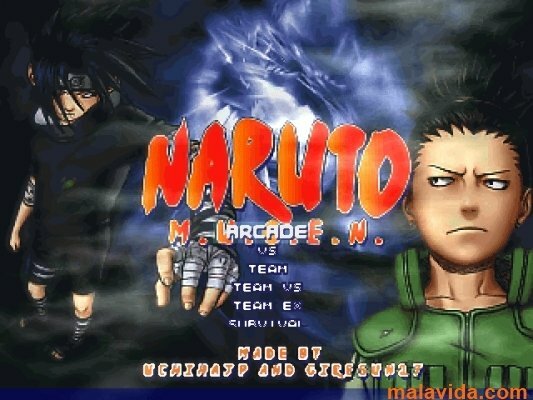 The video game takes its second name from the M.U.G.E.N. 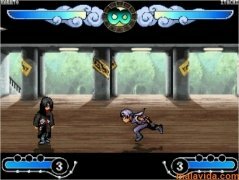 graphic engine, specifically designed to create amateur 2D fighting games, without having any design or programming knowledge. 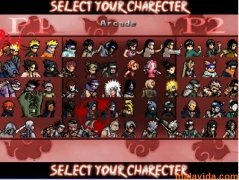 This graphic engine allows anyone to easily change the background settings, character models, personalize attacks and change the interface to create games like Naruto Mugen. 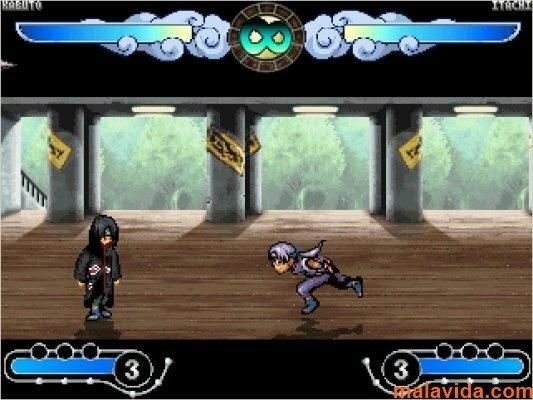 Furthermore, while you take part in combats, you can enjoy the brilliant soundtrack that Toshio Masuda composed especially for the series.